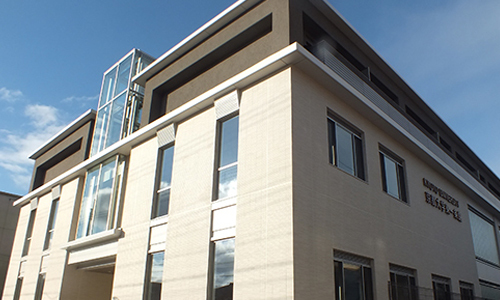 GSAIS(Shishukan) is located in the “Higashiichijokan” building in the Yoshida-campus area. For those who arrive at Kansai International Airport (Osaka), the usual way is to take train to Kyoto station. There are two railway companies oparating from the airport; Japan Railway West (JR West) and Nankai Railways. The only direct service to Kyoto is “Airport Express HARUKA” run by JR West. Approximate travel time is 70min. Please look at the access infomation of Kansai International Airport. If you are flying to Narita airport (Tokyo) and then take ground transportation to Kyoto, take JR’s Narita Express to Tokyo Station (or Shinagawa-Station) and then change to Shinkansen Express to Kyoto. Approximate travel time is 1 hour between Narita airport and Tokyo, and 2.5 hour between Tokyo and Kyoto. 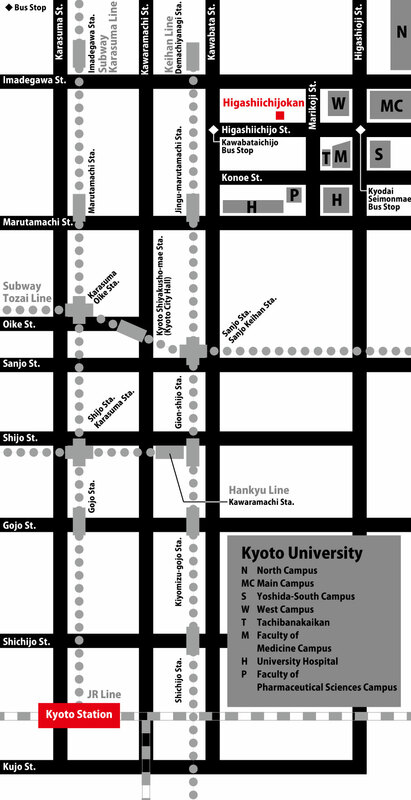 From Kyoto Station to the University area, there are three options. Take City Bus 206 [bound for “Kitaoji-Bus Terminal Higashiyama St.”] from bus terminal D2 to “Kyodai Seimon Mae” bus stop. It takes 30-40min and the fare is 230 yen. You can also take Kyoto Bus 17 [bound for “Ohara” bus stop] from bus terminal C3 to “Kawabataichijo” bus stop. It takes 30-40min and the fare is 230 yen. Note that Kyoto Bus is run by different company from the City Bus. Take the subway [bound for “Kokusai-Kaikan”] to “Imadegawa” Station. Take exit No.3 and turn left. Take City Bus 201 [bound for “Hyakumanben-Gion”] to “Kyodai Seimon Mae” bus stop.